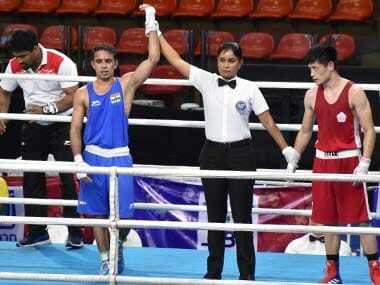 New Delhi: Commonwealth Games medallists Amit Panghal (49kg) and Gaurav Solanki (52kg) were among the three Indians boxers to enter the semifinals but Vikas Krishan (75kg) bowed out of the Chemistry Cup in Halle, Germany. 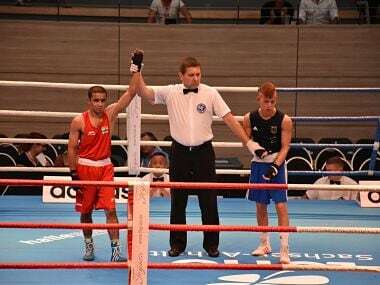 Dheeraj Rangi (64kg) was the third Indian boxer to be assured of a medal after he defeated local hope Wladislaw Baryshnik 4-1. 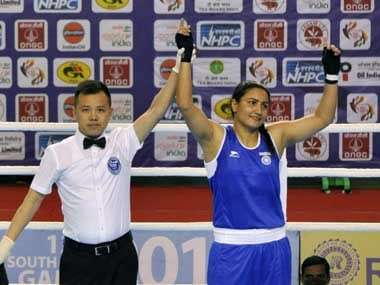 However, Vikas' campaign ended with a loss to Olympic champion Arlen Lopez of Cuba. Amit, a silver-medallist from the CWG and a world championships quarterfinalist, has a tough one up next as he will be facing Cuba's Damian Arce Duarte, who got a bye in the opening round. 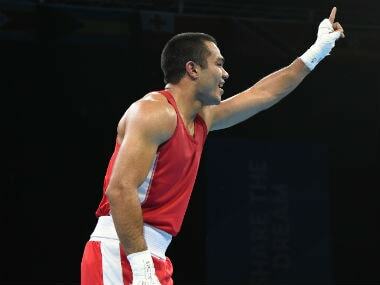 Gaurav, who claimed a gold in the CWG, will be facing Ireland's Conor Quinn in his semifinal bout. 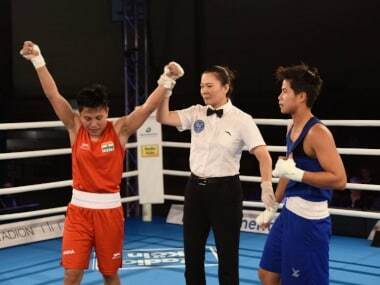 However, CWG silver-medallist Manish Kaushik (60kg), bronze-medallist Naman Tanwar (91kg) and former Asian youth silver-medallist Ankush Dahiya (60kg) bowed out after opening-round losses. Manish was defeated 1-4 by Cuba's Lazaro Jorge Alvarez Estrada, while Naman went down to the Netherland's Roy Korving in another split verdict. Also going down in a 1-4 decision was Ankush, losing to Russia's Artur Subkhankulov.